For many people, to experience a wildlife safari is to tick one of the top boxes off the bucket list. Being immersed in nature and seeing some of the world’s most stunning and powerful animals is an experience that you will never forget. A few innovative luxury safari lodges and resorts are paving the way for family-friendly adventures, where children can explore the incredible landscape and wildlife and create memories to cherish for a lifetime. 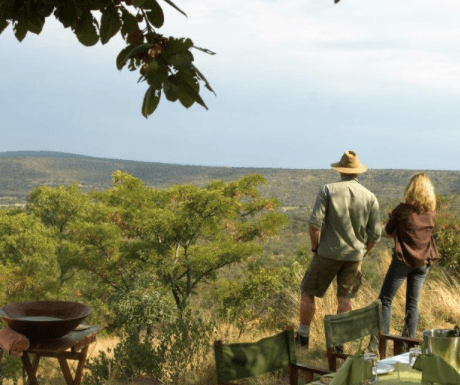 Loisaba Conservancy, at the edge of the Kenyan Laikipia plains, has one of the most magical concepts of all African safari lodges, guaranteed to thrill young guests. ‘Star beds’; handcrafted four-poster beds on wheels are rolled out onto an open-air sleeping platform for a night of natural beauty and wonder beneath the stars. Younger guests who are naturally up at the crack of dawn will love the early morning game drives with local guides who can track and spot lions, zebra, cheetah and more for a truly remarkable experience. Children can also enjoy watching the two resident anti-poaching sniffer dogs in action, or settle down by the campfire to make s’mores with members of the Massai tribe, whom Loisaba supports through sustainable practices and philanthropic initiatives. “Teaching children about the natural world should be seen as one of the most important events in their lives”. 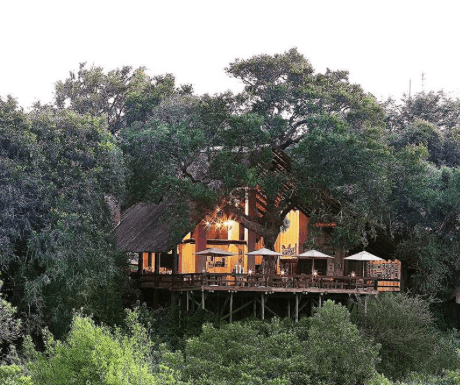 The stunning Varty camp near the banks of Sand River in South Africa takes natural education to another level, giving parents the chance to really relax. In between game drives, children from 6 years of age can immerse themselves in the wonders of nature within the fun safety of ‘Cubs’ Club’. The unique children’s club uses the national park setting to inspire activities such as fishing, bug catching, bird watching, traditional Africa dancing and bush cookery. Each chalet has its own pool surrounded by timber decking and families can choose interconnecting rooms for maximum privacy and comfort for all the family. Taking the stress out of the exotic, this safari resort is in a malaria-free zone so parents have one less thing to worry about when travelling with children. The exclusive Ants’ Nest homestead is perfect for a multi-generational holiday, as the expansive accommodation sleeps up to 12 people. There are no predators within the reserve, making the Waterberg region the perfect gentle introduction to the safari experience. Children can look forward to seeing giraffe, rhino and buffalo in between taking dips in the large pool or bouncing on the trampoline. For the more adventurous there are 90 horses to choose from for a special horseback safari, getting closer to the animals than is possible in a vehicle. The Ant collection supports no less than four local charities including an anti-poaching campaign and a children’s refuge, so you can be assured that your trip is positively benefitting the indigenous communities. Coined the 8th wonder of the world, the migration of over 2 million wildebeest throughout the Serengeti plains is a spectacle that is not to be missed. Situated in the middle of the migration route, the Serengeti Migration Camp is the perfect place to unwind in luxury and enjoy this once-in-a-lifetime experience. The camp is a stone’s throw away from a river that is home to a large herd of hippo; their grunts will wake you in time for an early game drive and the friendly staff are always keen to hear children’s tales of what they have seen. The camp is so deep in the heart of the plains that escorts are provided for guests at night time to ensure that no animals wander into camp! Thankfully the only direct interaction you are likely to have is a cheeky baboon stealing the bread basket at breakfast, much to younger guests’ delight. Each luxury tent has its own veranda with a 360 degree view of the plains and the camp boasts a swimming pool for splashing about in the heat. For an extra special treat, balloon safaris can be arranged to view the Serengeti from a totally unique perspective. For the ultimate in family-friendly privacy, hire the entire Kiba Point Camp and enjoy having your own slice of paradise in the middle of the Selous game reserve. All of the ‘Big Five’: elephant, lion, buffalo, leopard and rhino- can be spotted on the game drives, so kids will be enthralled to see the most powerful of beasts up close. After an intense morning or afternoon of animal tracking, children can unwind in the large swimming pool or curl up with their favourite book in the cosy library. Parents can relax without the pressures of formal dining rooms and enjoy being waited on with a private chef. Your own personal team of staff will be there to arrange experiences to suit every age and taste, from a guided walk through the bush to a motorboat experience. Parents will love the bespoke and flexible itinerary; if the kids want to sleep in late or decide they would like a spontaneous barbecue, the staff can cater for any whim. I’m glad there are luxury safari lodges that include children. I like the sound of Ant’s Nest Camp in South Africa – great name! Those star beds sound amazing. Our little one is still too young to appreciate that sort of thing, but it could be a great trip once she gets older. When I have kids, one of the travel gifts that I want to give is allowing them to experience a safari. Seeing animals like lions and elephants in their natural habitat is superior to seeing them cooped up in a zoo! Great list there, however including a visit to Murchison Falls National Park in Uganda and staying at Chobe safari lodge is quite a memorable experience for family and children. I see Ant’s Nest on here and I have stayed at that reserve with my toddler but in Ant’s Hill (the Nest was booked). Overall they are very child friendly but don’t let your TA convince you that the Hill is appropriate for younger kids if the Nest is booked- it has a big drop off just off the dining area. Great for older kids but not younger. I don’t see River Bend Lodge near Addo on here – absolutely fantastic service and wonderful place. They gave us our own guide and vehicle and attached a car seat to the Land Cruiser. It is a non-malarial area so great for younger kids and our daughter was able to go on every game drive with us. Never felt unsafe with them.